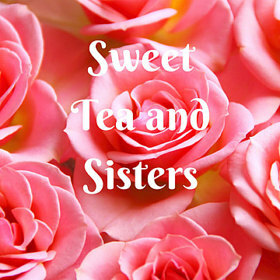 Sweet Tea and Sisters: It's My Birthday! Technology sure has changed the way we celebrate birthdays. I am 47 today and it is so different than it used to be. We had wall phones. You know, the phones that actually only worked when plugged into the wall and you could only go as far away from it as the curly cord would let you. You would know when you went too far because the coiled cord would pull you back. We would get most of our birthday wishes that way. Which meant you had to be home to get a call and you could only talk to one person at a time. We had a birthday party planned by invitations. Invitations that you had to go to the store to get (there were just a few choices) and had to individually fill out and then mail. We also had to go buy any kind of decorations. I posted a couple of weeks ago that I have always enjoyed having my birthday the week before Valentine's Day because that was usually my theme. It was easy to find decorations and things for my birthday. I always had candy hearts and cinnamon heart candy as part of the food as well as decorations. Things sure are easier now! You get voicemail if you are on the other line. Friends and family can send you a text and social media has totally transformed the way we communicate! Evites and online shopping, as well as booking events, have made things much easier. My older son left really early this morning. He sent me a text after he left and when I opened it, there were balloons that floated up the screen with him telling me Happy Birthday! You get a lot more wishes because of social media. People who wouldn't have called you or probably even sent a card, can write on your wall or text you to let you know they are thinking about you. This is when social media is a really good thing. It makes reaching out to others on occasions so much easier. Even in bad times we can let someone know we care without feeling like we have imposed or having to "bother" them personally. I opened my laptop this morning and even Google wished me a Happy Birthday! Wikipedia is at our fingertips and you can put your month and day in and see people in history who share your birthday. I found this interesting. There were a lot of artistic people who were born today. I say artistic in the way of arts such as authors, painters, composers, actors, and musicians. If you believe in astrology, I think it makes sense for the sign of Aquarius. I have a lot of happy memories of birthdays when I was growing up. My mom always made such a big deal about birthdays and from parties with lots of family and friends to slumber parties to my sweet 16 party in high school, they were always fun. She still makes them big by getting together me, my sister, brother, and our families. We go out to dinner or she does something at her and my dad's house. It's fun because our kids get WAY more excited about our birthdays than we do! We make a really big deal over their birthdays so they must think we get as excited about ours as they do theirs. Even when I think, "This is not a big deal anymore," they get me excited being around all their happy faces. In the front is my aunt Gina, my aunt Harla holding me, my grandmother Betty and in the back my great grandmother Willie Lou (she hated her name! ), my mom Angela, my aunt Loulie (short for Ettie Lou) and my cousin Leslie. I am missing a couple of other girl cousins from my uncle John. This was my first birthday. My grandmother, Helen (my mom's mom), is keeping me on the counter! My grandfather, Tom Ed, is behind me in this one along with my grandmother and mom and dad and a couple of other family members. Both of my dad's parents have passed away. I was so close to them and they literally stood behind me and in every other way. I never needed them that they weren't there. I sure do miss them. Here's one of the Valentine's Day themed birthdays. My and my sister, Amanda. My little brother, Ty, with me and the gifts I got that year. I got a Cabbage Patch doll and my Nana and Papa gave me a bird I named Xanadu. I love Olivia Newton-John and I think that was my favorite movie at the time. Another birthday full of hearts! I loved the flowers on the table. My uncle, Jimmy, gave them to me. This is me, my sister, and our cousin, Laura. This was taken right before my birthday. My brother's birthday is a couple of weeks before mine so this is when I was 7 and he had just been born. My great grandmother on my mom's side is holding him. She was such a sweet, Christian woman. I loved going to spend the night with her. She was funny, she loved her soap operas! She was my Papa's mom and he looks so much like her. He gets the same sweet expression on his face she always had on hers. This was taken at my Christening at church. I posted it because it has my other great grandmother, Meme, in the picture on the right of my mom who is holding me. I am going to get out and enjoy the rest of "My Day!" I do love going down memory lane and looking at old pictures. I realize just how blessed I am by family and friends and that is all anyone can really ask for!